Your doctor has handed you a prescription for Clomid, and you're eager to try this popular fertility drug treatment. Unless your insurance plan covers Clomid—and many don't—you may be concerned about the cost. Clomid is relatively inexpensive when compared to other fertility treatments, but it's obviously not free and may be more than you're used to paying for medication. By itself, the price of Clomid ranges from $9 to $150, depending on dosage and if you're using generic or brand name. Note: Are you looking for information on buying Clomid without a prescription? Then you need to read about the very serious potential dangers. Most people have a pharmacy near their home or work that they prefer to use. But before you fill your prescription there, consider price shopping first. Since you don't usually take Clomid until after your next cycle begins, you should have extra time for the price shopping. You should also ask if they carry generic Clomid, clomiphene citrate. Unless your doctor tells you otherwise, there's no reason to pay more for the name brand. Clomid pricing can vary quite a bit from pharmacy to pharmacy. One store may charge $50 for five 50 mg pills while another will charge just $10. Something else to keep in mind is a pharmacy offering a good price at 50 mg may not have the best price at a higher dosage, and a pharmacy that has the best price for one month's supply may not have the best deal for three months worth. Some discount stores offer discounted drug prices in their pharmacies. Walmart, Target, and Krogers have similar prices. Discount member stores like Costco also offer reduced pricing for Clomid. How much can pricing vary? Here's what three different pharmacies quoted as the cost of Clomid (at the time of writing). Notice that if you're only buying one month's worth, Walmart had the best price. But Costco had the best price if you're getting three months of pills. While many discount stores list their prices online, always call ahead to be sure they have the drug in stock. The pricing may also vary from state to state, which is another reason to call first. Should You Buy Clomid Online? We do so much of our shopping online these days. Why not buy medications online as well? While purchasing drugs online can be done safely, you must be careful about the websites you order from. The National Association of Boards of Pharmacy reviewed over 10,000 online pharmacy sites and found that a mere 3 percent were in compliance with pharmacy laws and practice standards. One way to know if a drug store is legit is to check the National Associations of Boards of Pharmacy website to see if it's listed on their Recommended Sites list. Only sites that have VIPPS (Verified Internet Pharmacy Practice Sites) certification appear on the list. Once you've confirmed that the pharmacy is legit, don't forget to consider the price. Online doesn't always mean cheaper, especially once you consider the cost of shipping. Before you start your treatment cycles, it's important you understand the full price tag. It may go beyond the Clomid pills. Your total bill will depend on your insurance coverage, what treatments beyond Clomid your doctor may prescribe, and how much monitoring will be done. Some doctors prescribe Clomid alone. Other may add in progesterone suppositories (taken after ovulation for at least two weeks) or an injection of hCG, also known as a trigger shot. 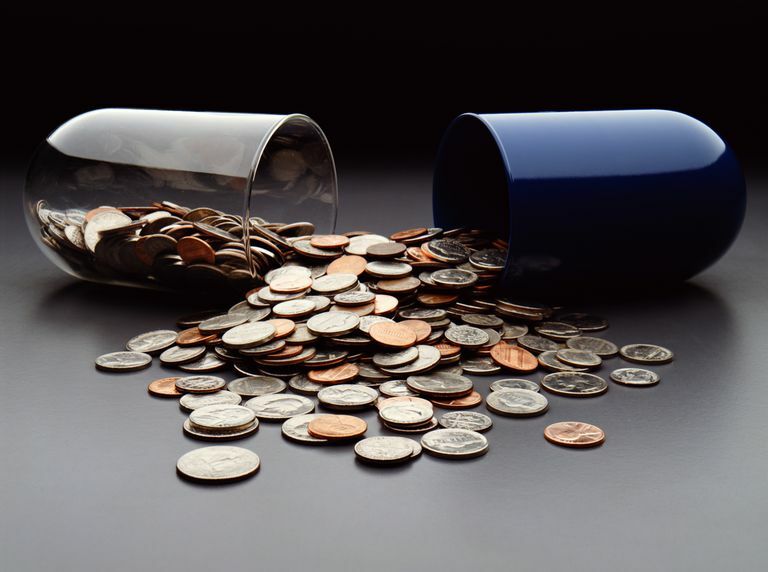 These medications will increase the overall cost of your treatment cycle. Monitoring your cycle may also bring in additional fees. Your doctor may require one or a few ultrasounds, and possibly a few blood tests. Even if your insurance doesn't cover Clomid, it may still cover the monitoring costs. But it may not. This means that one woman's Clomid cycle may cost as low as $9, while another woman's treatment cycle may cost $1,000. Clarify with your doctor what your total treatment price will be upfront, so you're not caught unaware. Buying Medicine Online. National Associations of Boards of Pharmacy.